Wireless Set No. 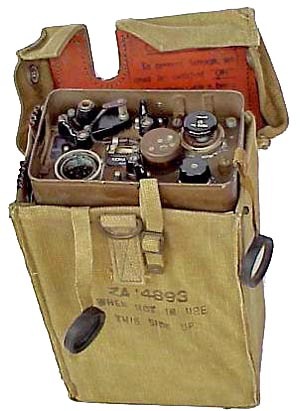 46 was a manpack transceiver developed in 1942, principally for communication during beach landing operations. Frequency Range 3-9.1 MHz. It had three pre-set crystal controlled channels. R/T or MCW. Range: up to 10 miles using long type rod. The set was completely waterproof, self-contained and carried by one man. The combined dry battery pack was the same type as used with the No. 18 and No. 68 Sets. Wireless Set No. 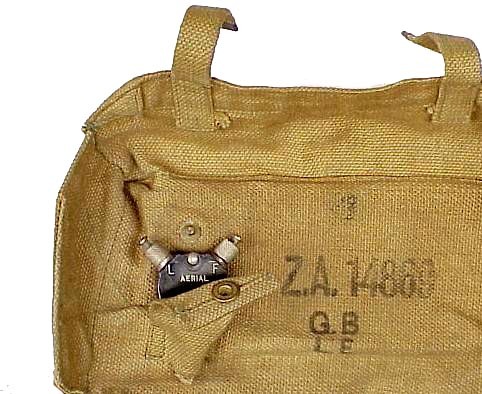 46 in canvas Set Carrier. 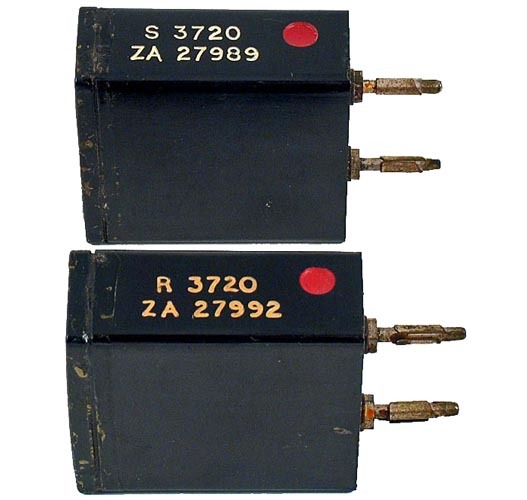 Note rubber dust cap (left) for sealing the 6-pt socket when not in use, and a similar rubber cap (‘record disk’) holding a label on which the frequencies in use were noted. In the canvas Battery Carrier, which was normally strapped to the operator's back, the operational battery and a spare battery were carried. 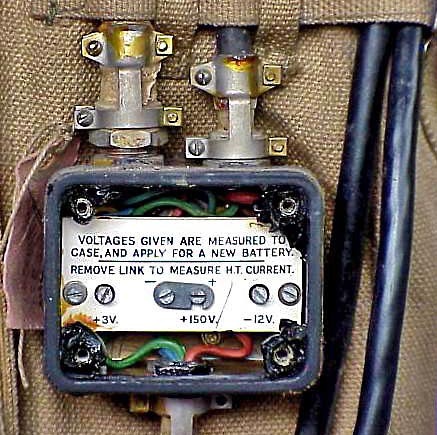 ‘Junction Box No. 1 (Wireless Set No. 46)’, was fixed on the outside of the Battery Carrier and had a cable harness for connecting to the No. 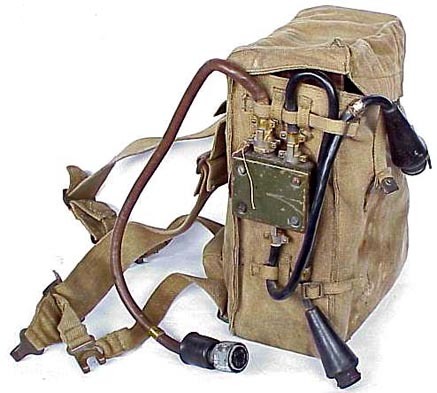 46 Set (dark brown cable), two microphone and headgear assemblies sockets and an internal cable for connection to the battery. Wireless Set No. 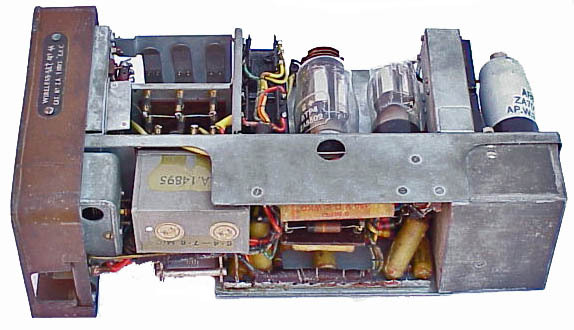 46 removed from its case showing a very compact construction. 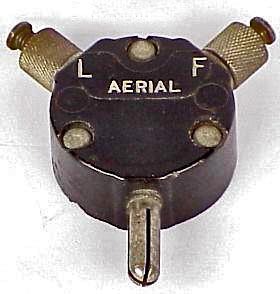 Note the position of the tuning coil block and the 6 crystals (not fitted here). Accessories for Wireless Set No. 46. Click to view details.